Last year I posted about mistakes. I’m pondering them again today. This morning I journaled about some of my favorite mistakes. I won’t bore you with the list. Suffice it to say is is substantial. What I will share though is an epiphany I had after making the list. I seem to learn more important life lessons from my mistakes than from my triumphs. I’m grateful that I’m not a perfectionist. Realizing what I’m NOT good at is at least as vital as what I AM good at. I’m grateful I have a healthy sense of humor. 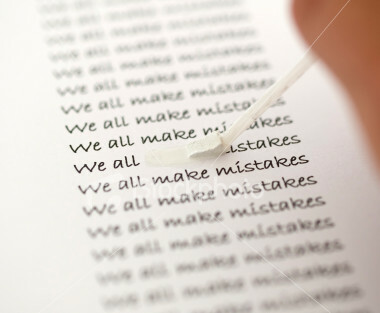 Making mistakes helps me better accept the mistakes of the universe. When in doubt, trust my gut. All relationships are important. Some just aren’t meant to be eternal. Other people really are better equipped to make their choices/judgments about their life than I am. And most important, ‘a much better outcome than I’d ever imagined possible’ often comes first disguised as a mistake. How about you? What have your favorite mistakes taught you? – To not jump to conclusions and (more importantly) to inappropriate words and/or actions. – Following up on the above, to be ever mindful of others’ feelings; to strive for the embodiment of COMPASSION. – To not stress out TOO much, because life goes on (with or without me and my “stuff”). Just keep flowing. Several years ago, Garth Brooks had a song entitled, “Thank God for Unanswered Prayers.” That title always stuck with me. So many times I’ve prayed for things that would NOT have worked out in my best interest. So I guess my biggest mistake has been to pray for things that suited me best at the time….instead of just letting things happen as they will. ALWAYS very hard to do. I guess many of our mistakes come from us trying to control too many things. I guess someday I’ll learn that….someday. Tom, what a great theme song for this post. thanks! Lisa, I want to thank you giving me the chance to think about and comment on the topics you select. It really helps me work to stay honest with myself—this one especially. The day after I wrote my reply, I had some situations with students who tend to REALLY stretch my patience to the limit. Having what I wrote on my mind, I breathed deeply and said to myself, “OK, you’ve talked the talk, let’s walk the walk. Where’s your compassion for these kids?” It worked! I stayed calm and they actually focussed on what I was trying to teach them. YAY! ooooooooooooo Mary Louise, thanks SO much for this reminder of the power we have TO CHOOSE.